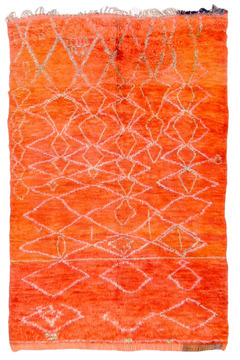 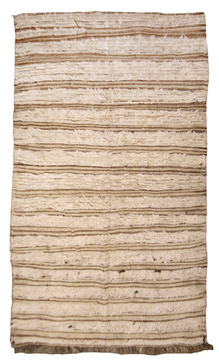 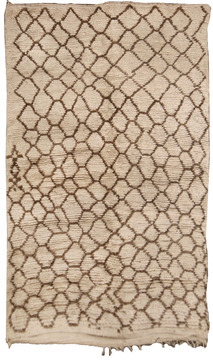 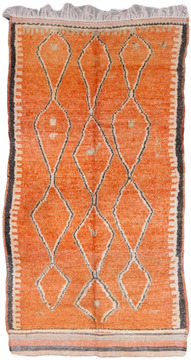 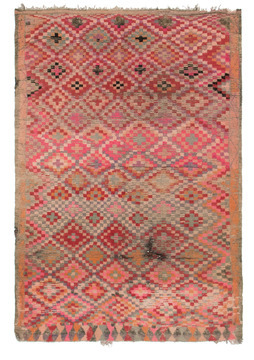 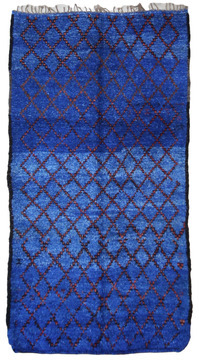 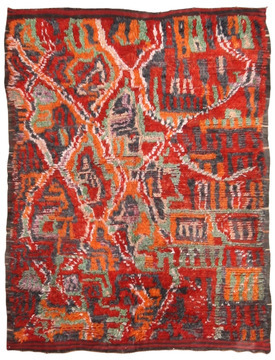 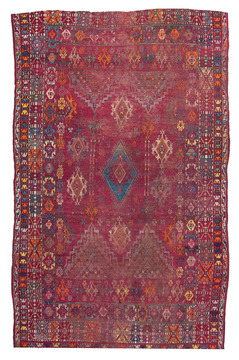 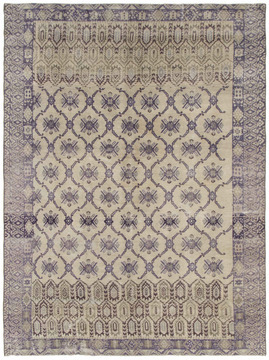 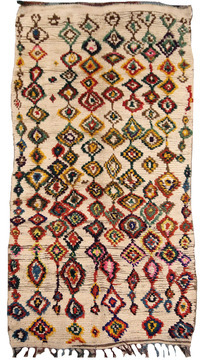 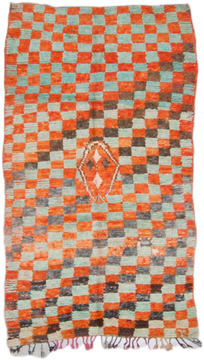 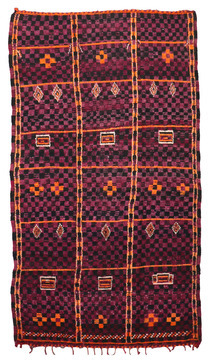 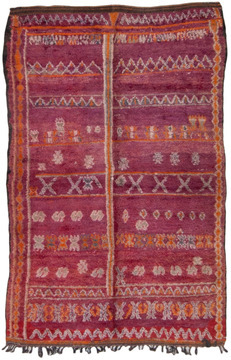 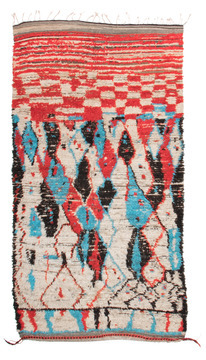 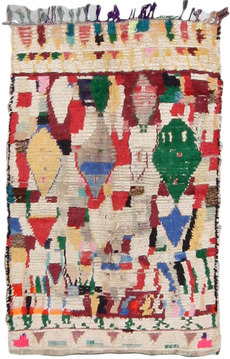 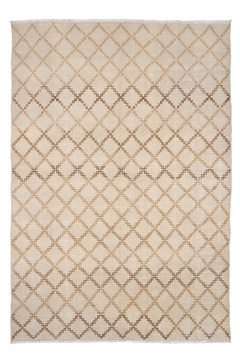 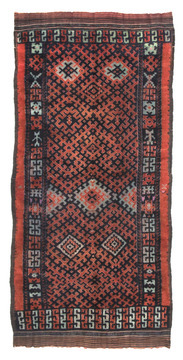 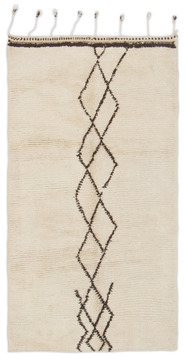 A soft, subdued Moroccan Vintage Rug. 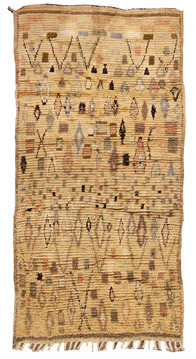 Faded yellow, amber, rust and straw predominate. 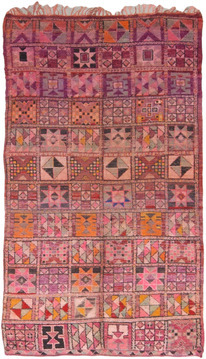 A border of floral displays encloses a pattern of repeating floral motifs. 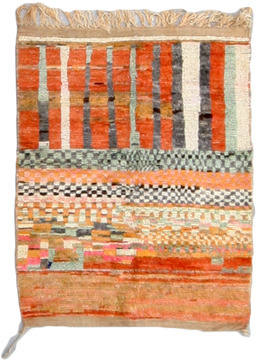 A palette of autumn pastels would be appropriate.